When you’re planning and celebrating a birthday, there are many different things that you have to take into consideration. From venue size and food options, to the best birthday venues and activities, there’s always something that comes up when planning the details of a birthday party. However, if you’ve been searching for a birthday party venue in Reno that can accommodate you or your child’s next birthday celebration, look no further. Need 2 Speed is a unique and entertaining birthday party venue in Reno that covers all your party needs. At Need 2 Speed, not only are we the premier destination for indoor kart racing in the area, but we offer one of the best birthday party venues in Reno, Nevada. Our facility has everything you need in one place, offering racing, black light mini-golf, food and plenty of space to enjoy your group’s company. Whether you want to plan something special for yourself, your child or even your boss, we have a variety of packages available. Kids – With several packages to fit your needs, enough racing to go around, food and party decorations, you can’t go wrong when you throw your child a birthday party in Reno at Need 2 Speed. Stay local and give the kids a memorable day full of action and fun they surely won’t forget. If you’re worried about safety, that’s our top priority. We take time before every party to demonstrate safety information before anyone operates the karts and provide helmets, as well as youth sized karts that are more manageable for kids. Depending on how long you want to be considered the coolest parent around, there are several options for amounts of time you want to spend on the track. As an added bonus, we even have a black light mini-golf course to check out after the racing is over! Adults – Bring out your inner child when you bring your birthday party to Need 2 Speed. From small intimate groups to larger parties, we can help you enjoy your birthday in Reno at speeds you never thought possible! Our karts aren’t just any karts. They’re premium Italian karts that are extremely fast, satisfying your need for speed and your desire to race without the possibility of getting pulled over by the police. Who said getting older meant you had to have less fun? Large Groups – Finally, a birthday party venue in Reno, NV that can accommodate large groups of people from your company while still providing a unique birthday experience! We’re happy to provide an amazing venue at Need 2 Speed that can host up to 200 of your work colleagues in one place while still maintaining a fun environment for you to celebrate. It’s the perfect place for you to throw the CEO that surprise birthday party you’ve all been talking about. There’s no shortage of birthday party venues in Reno, NV. But if you’re looking for a unique experience that your friends, colleagues or children will be talking about for weeks to come, Need 2 Speed is where you want to be! Let us take care of the details and make that special day even more memorable with an amazing indoor kart experience that can’t be replicated anywhere else in Reno. 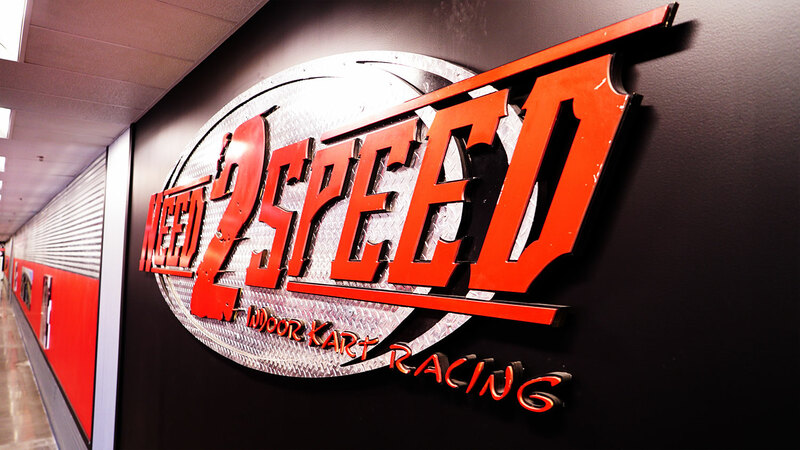 Call us today at (775) 851-7223 to schedule your next birthday party in Reno at Need 2 Speed.